Do You Really Need a Voice-Over Resume? You've decided to pursue a career as a voice-over artist. Congratulations! Whoa, not so fast, there. Where's your resume? Don't think you need one? Guess again. 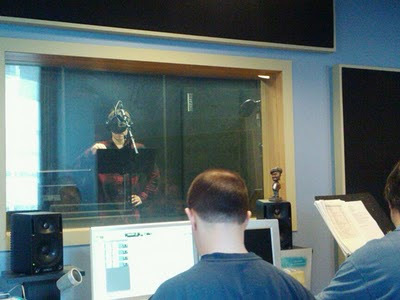 Your voice demo may be what gets your foot in the door, and yes, it's necessary to land voice-over work. But a resume will give you a leg up over other applicants who don't bother with it. It can also give your potential employer a lot of important information that can't be included in your demo. So do you really need a voice-over resume? Read on and then you be the judge. A fantastic voice is a gift. If you can alter your pitch and tone, inhabit different characters, and even convey emotions just with your voice, you're in a unique position to build a career as a voice-over artist. The thing to remember, though, is that voice-over artistry is still work, and when someone hires you to provide a voice for a product, whether it's a radio commercial or a video game, they're hiring you to do a job. Employers, including those in the voice talent field, want to know they're hiring professional people with workplace experience. That's where your resume comes in. Even if you're just starting out as a voice actor, and your resume is full of work you did while sitting in front of a computer, it's valuable knowledge for your potential employer. A resume that shows a lot of bouncing from one job to another might mean that person is a little flaky, and maybe they just won't show up at the studio one day when they're scheduled to record that commercial. By the same token, a resume that shows a steady work history, with positions of increasing responsibility, can be an indication of someone who is reliable, trustworthy, and who has a good work ethic. And who doesn't want to work with someone with those qualities, regardless of the industry? As you start getting more voice work, you'll need to trim your resume so it doesn't end up being too long. Your previous work history descriptions will become shorter to make room for your voice work experience. Keep the highlights, like job titles, main responsibilities, and length of employment, and be ready to provide more detailed answers if you're asked about previous jobs. When adding voice work to your resume, list the types of work you've done such as television commercials, automated telephony systems, and employee training videos. Indicate whether you've had any formal voice training, and list any production services you may offer, such as ISDN, MP3, and sound effects. And don't forget to include extras like languages spoken, a singing or acting background, and any script-writing experience.